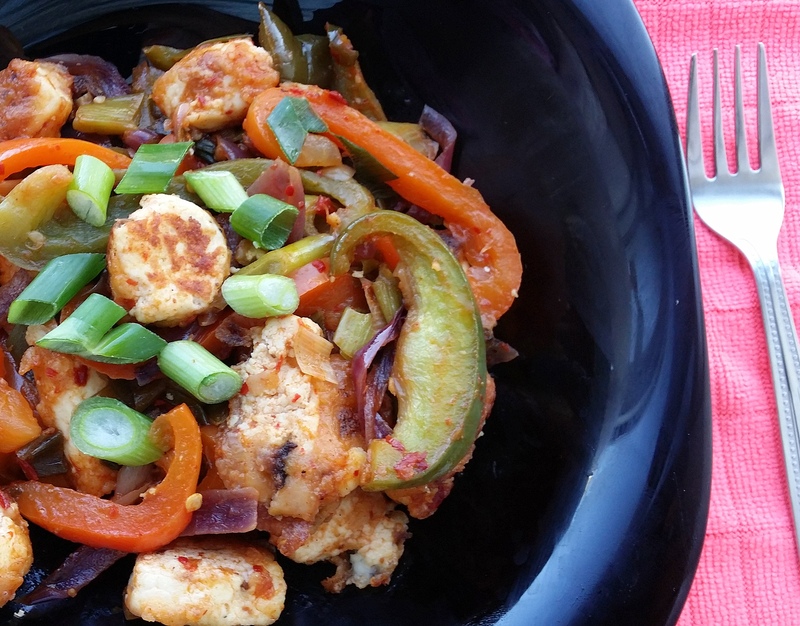 Chilli Paneer is a great appetizer to serve as finger food in parties. Traditionally Paneer coated in a batter, deep fried, sauted with peppers and sauces but here as a healthy option I have shallow fried low fat paneer and tossed in sauces. Combine all the ingredients for batter in a bowl and make a smooth batter by adding water. Coat the paneer pieces with the batter and toast them on the pan/ tawa until golden brown. Drain it on a tissue and set aside. Once the paneer is roasted transfer them on to the plate and set aside. Add soya sauce, vinegar, chilli/schezwan sauce, tomato sauce, salt and stir fry until sauces are coated well. Toss in fried paneer and mix well. This can be served as starter/appetizers OR can be used as a filling in wraps. Posted on June 28, 2014, in Indian, Side dish, Starters and tagged Chitras healthy kitchen, drchdietfood, Indian healthy Appitzers, Indian vegetarian Appetizers, Low fat panner manchurian, Shallow fried Apptizers. Bookmark the permalink. Leave a comment.